A new exhibition exploring the role of women during and after the Great War (1914-18) has opened at the museum. ‘A voice of her own. 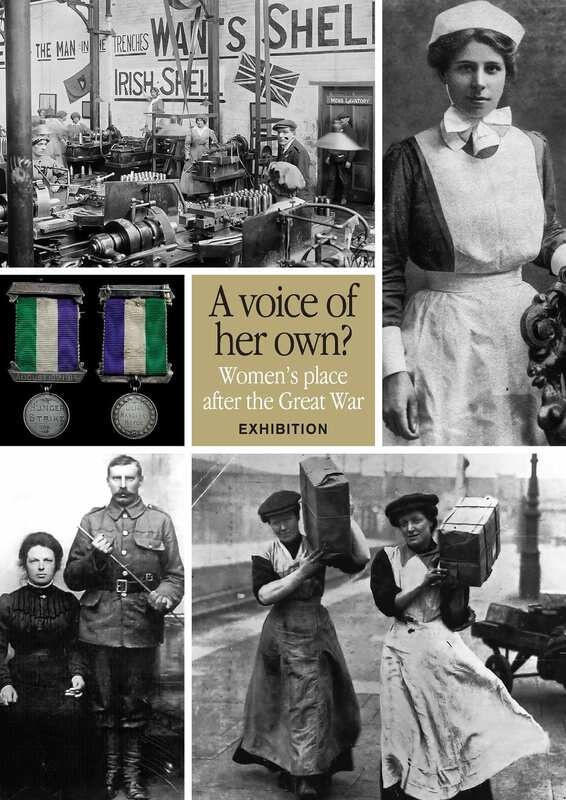 A woman’s place after the Great War’ is open to the public Monday to Saturday, 9.30am -5.00pm, entry is free. The display includes the museum’s most recent acquisition, a rare WSPU Hunger Strike medal belonging to local suffragette Lillian Metge. The exhibition uses objects and photographs from the Museum’s collection to examine the place of women in society in the aftermath of the war. Although huge numbers of women toiled in munitions factories or nursed at the front and enjoyed new found freedoms, for many these did not last. Even winning the vote in 1918 failed to give women the full voice they had fought for. At the official opening Alderman Paul Porter, Chair of Lisburn & Castlereagh City Council’s Leisure and Community Development Committee, said: “as we mark the centenary of the granting of the votes for women in 1918, it is important that we take time to recognise the important contribution women made to the war effort, at home and on the Front. 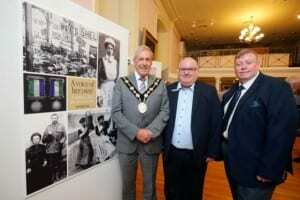 The Mayor and Alderman Porter with Paul Allison, Museum Manager.